If you’re looking for a wicked mattress, we have some Monstah shops for you. Well, you get the point. We took a look through the whole state of Massachusetts and then examined areas that were more popular and spread throughout the state. From there we combed through hundreds of mattress stores and found the best mattress shops to fit your needs. Here you will find mattress stores that offer quality name brands to match your sleeping style. We know that shopping for a mattress can be daunting and that a trustworthy sales team is crucial. We also took a look through the customer service reviews, and picked some that shone above the rest. Whatever you reason for needing a new mattress, we have go you covered. 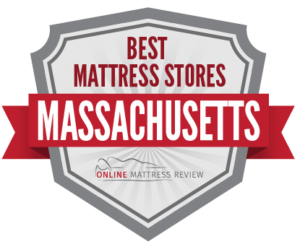 See below the best mattress shops in Massachusetts by region. If you are shopping for a mattress in Boston, lucky you! There are so many great options. Watertown Mattress (660 Aresenal St.) is located near Boston in Watertown Mass. This hidden gem of a shop offers amazing customer service. You will find the mattress of your dreams for a major discount. The staff members are experts so do not shy away from questions. After shopping here for your mattress, you may want to replace all of the mattresses in your house. Sleep-A-Rama is located in Fenway right in Boston (1260 Boylston St.). The owners seem to love mattresses as they are extremely knowledgeable. You will love the mattress that you walk away with as the price will always match your budget and the bed will always match your sleeping style. Delivery is fast and efficient. MIT Furniture Exchange (350 Brookline St.) is a fun way to get a discounted mattress that is NOT USED. They do not accept used mattresses so don’t sweat it. This is the place to head if you need an affordable mattress or anything else to furnish your home for that matter. When in Worcester, shop at Rotmans (725 Southbridge St.). Rotmans is a family-run furniture shop that sells mattresses. They service Worcester and the surrounding areas. It is the largest furniture and carpet store in New England. At Rotman’s you will find the full range of twin, full, queen, and king mattresses from some of the best name brands on the market. They also offer flexible delivery options. If you didn’t quite find what you needed at Rotman’s try Mattress Outlet of Central Mass- located near Worcester in Boylston (240 Shrewsbury St.). Mattress Outlet of Central Mass offers great mattresses at a discounted price. This is the place to shop for a great range of affordable mattresses. Factory Discount Mattress (6 Brussels St.) provides quality customer service, affordable prices, great mattresses and quality furniture to complete your shopping needs. When shopping for a mattress in Springfield, you may want to try Yankee Mattress Factory (1376 Boston Rd.). Here you will find a great range of mattresses at all price point. The staff are knowledgeable and patient. Delivery is fast and convenient. Stop in and take your time shopping. If you are near Springfield, try Mattress Firm Westfield (613 E Main St.). Though this location is not directly downtown, delivery is convenient and reliable. The staff at this location understand the product well and will not try to see you a mattress outside of your price range. If you are unsure of the type of mattress that will fit your sleeping style, be sure to ask this knowledgeable staff. Eddie’s Furniture Company (854 Hampden St. Holyoke) is just north of Springfield and has a great selection of mattresses and whatever else you might need to furnish your home. This is a great place to go if you are looking for a laid back shopping experience with no pressure. If you’re looking for where to purchase a mattress in Lowell, we can help. Mattress Firm Lowell (199 Plain St.) offers a wide-range of mattresses for every price point. At this location you will find a great customer service- a staff that truly understands this product. The delivery people will set up your mattress for your and give a convenient phone call in advance of delivery. Bob’s Discount Furniture (24 Payton St.) offers quality and affordable mattresses and other furniture. This is a great place to head if you are shopping on a budget and need some further guidance about purchasing a mattress. The sales team is knowledgeable and will not pressure you to purchase right away. Financing is available. When shopping for a mattress near Lowell, try Spindle Mattress in Acton (10 Craig Rd.). This is a great place to shop if you have continuous back issues and need something customizable- the various layers give you that. When it comes to customer service, it can’t be beat. The sales team communicates with you all the way through your purchase and beyond. If you have any problems, this group is willing to step in and help.